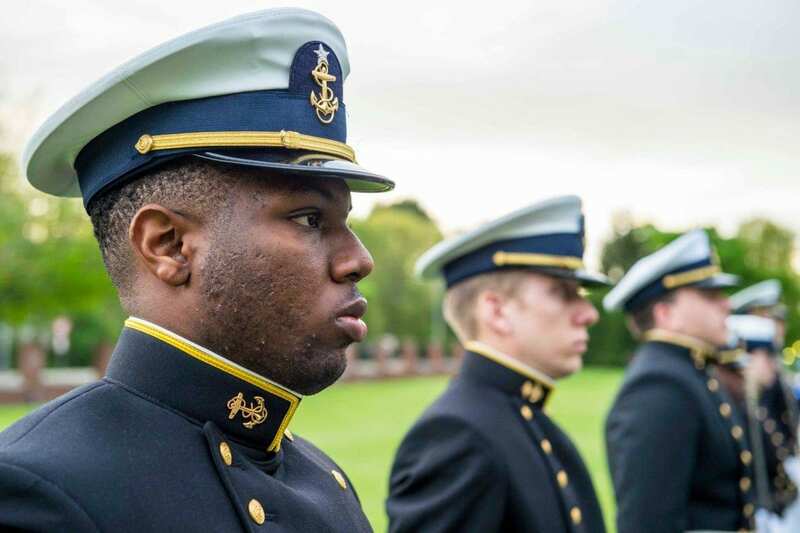 A group of 18 African-American men and women graduated from United States Coast Guard Academy on Wednesday, reports Connecticut’s The Day. Collectively, the graduates represent the largest amount of newly minted Black Coast Guard ensigns, adding much-needed diversity to the institution. “The goal is to have you break into the senior leadership of this organization. For you guys to do that, you guys have got to remain vigilant. You got to remain focused, and you got to remain on task,” Cmdr. Marcus Canady, a 2000 academy graduate, said to the ensigns. Canady is part of the Admissions Minority Outreach Team, which was formed in 2007. Although most ensigns do not receive lieutenant commander shoulder boards until after a decade of service, the Class of 2018 was presented with the epaulettes in hopes that it will motivate them and keep them focused moving forward. Merle Smith, the first African-American to graduate from Coast Guard Academy, presented Ensign Tyler Exum—an electrical engineering major—with his shoulder boards on Wednesday. Adm. James Rendom, the academy’s superintendent, was also in attendance. For Ensign Joy Watkins’ first assignment, the 24-year-old is heading to Alaska as a student engineer on the cutter Douglas Monro, according to The Day. Becoming lieutenant commander is “definitely a future goal,” she said. Ensign Geremy Kendrick of Gainesville, Florida, credits the academy for his “smooth transition” as he prepares to head off to Port Huron, Michigan, where he will serve as a deck watch officer on the cutter Hollyhock. “He told me if I came here that I’d have more opportunities than at any other point in my life,” Kendrick said. According to the U.S. Coast Guard, 27 percent of the 2018 graduating class comes from underrepresented minority groups.